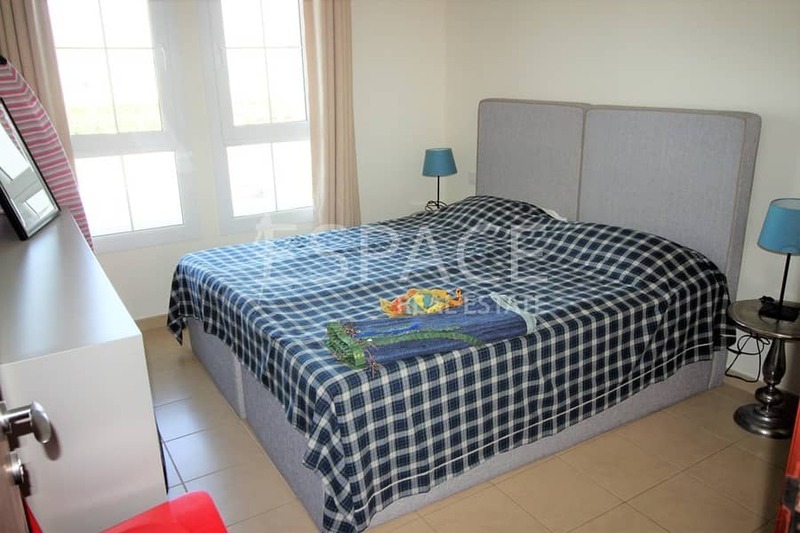 Espace Real Estate are pleased to present this 3 bedroom Type 2M in Ghadeer. Boasting a built up area of 2,627 square feet and parking for 2 cars. The ground floor consists of a spacious family living room next to the dining area. Next to this is a good sized kitchen. The ground floor also has maids room, study, utility room and washroom. Upstairs are three bedrooms and another family living area. The master benefits from an en-suite, walk in wardrobe and a balcony. The other two good size bedrooms have fitted wardrobes and a shared communal bathroom. The garden is landscaped and sits on a good sized plot.